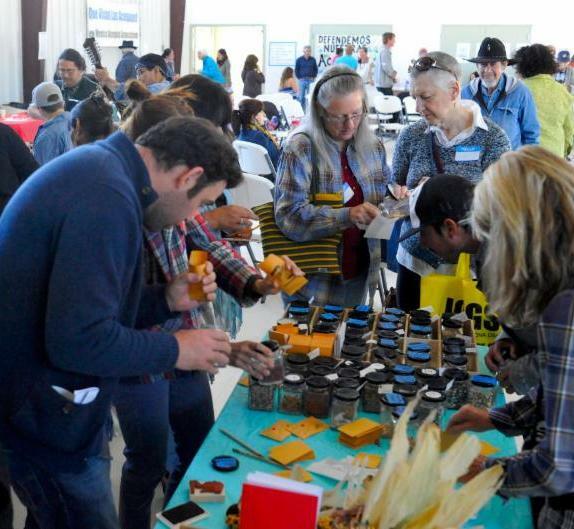 On Earth Day, April 22, 2017 over 180 acequia and pueblo farmers came together for the 12th Annual Owingeh Ta Pueblos y Semillas Seed Exchange. 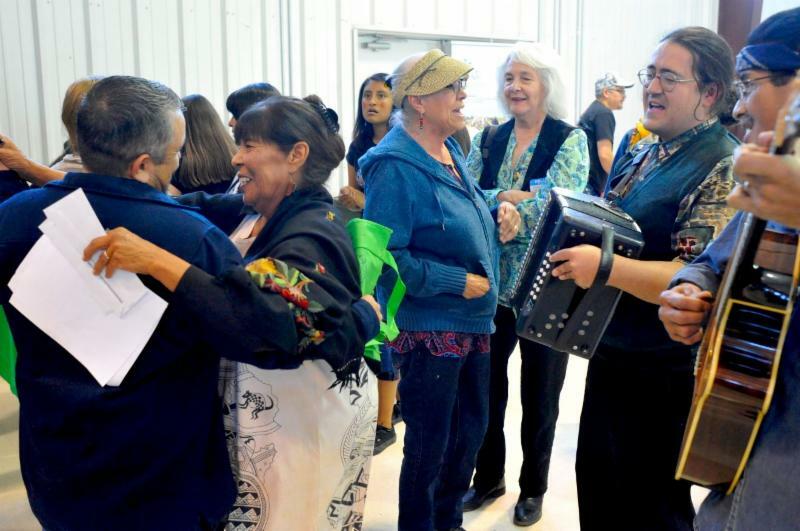 The gathering was a celebration of the sacred traditions of farming and seed saving with the mission of continuing to be good neighbors and stewards of mother earth. The gathering began with a blessing and prayer for our departed farmers, acequieros and community members by Los Hermanos Penitenties de La Morada del Alto (Abiquiu), La Morada de Nuestro Señor de Esquipula (Chimayo), La Cofradia de la Santísima Trinidad (Santa Cruz) y otras Moradas. 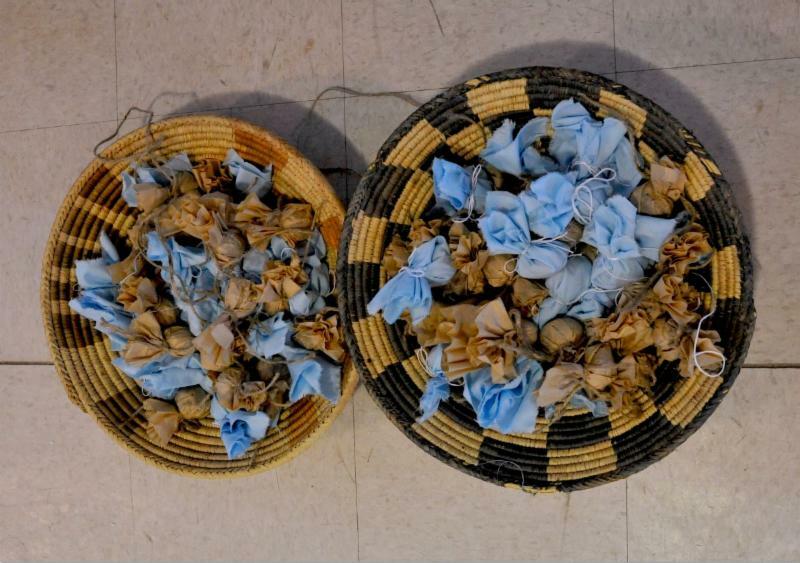 Following the alabados, seed, earth and water offerings were brought from all 4 directions in which the Rain Dancers from Santa Clara Pueblo blessed with their dance and song. In the afternoon, we were also honored to have Los Genizaros de Abiquiu dance and share their history, a truly unique multi-cultural congregation and ceremony. At the gathering, the Alliance awarded Cornelio Salazar and Clara Salazar-Suazo with the Anciano Se:daa Lifeways Award for their outstanding contribution and commitment to teaching their family, community, and others about the sacredness of seeds and cultural life-ways. 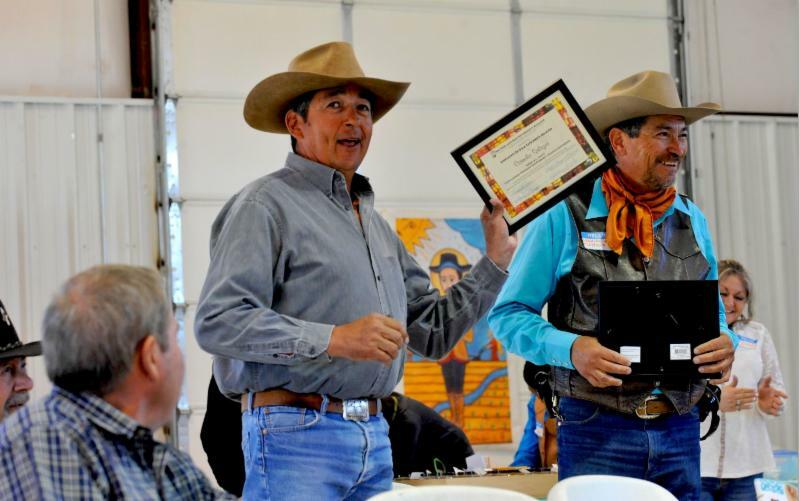 They were also recognized for the contribution to the Sembrando Semillas Program in Abiquiu where they mentor and inspire young people in the community to farm, plant, and engage in food preservation techniques. We also had powerful presentations by Marian Naranajo, Beata Tsosie-Peña and Louie Hena acknowledging indigenous truth that this land is the church of the indigenous people and it is our obligation as neighbors, brother and sisters, newcomers, and visitors to treat mother earth and one another with respect to survive in this valley. Poems, stories, and seeds of testimony were shared. 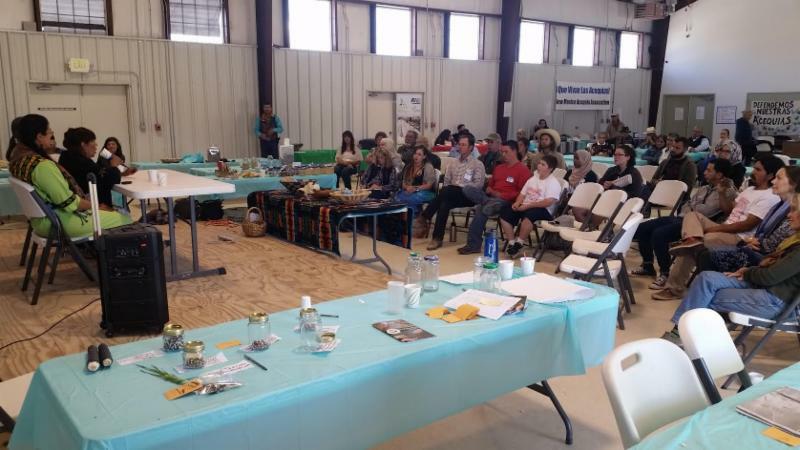 Following, Virgil Trujillo presented the history of the Genizaro people of Abiquiu connecting us all on the basis of our deep respect for water, land, and seed! Lastly, we had a group of young women present on Seeds of Hope & Healing whose message rang strong about the importance of the unity of all people to protect our water, land and culture in a world where they are becoming more threatened under an extractive industry and capitalistic society. We are honored and thankful for this gathering and want to give great thanks to those who traveled and made the journey to celebrate the sacredness of our seeds, traditions and culture! And David F. Garcia and Jeremias Martinez for the wonderful music! Special thanks to all our sponsors and donors who made this event happen! Que Viva la Gente de la Tierra!